Why rent when you can own? This cozy ranch home is situated on a corner lot. 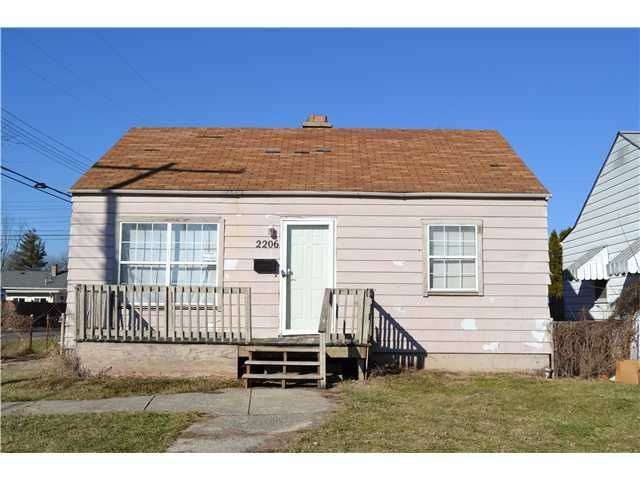 Large picture window in the living room, kitchen w/access to the partially fenced rear yard, 2 bedrooms, 1 full bath. Front deck to sit on and enjoy the neighborhood. Rear deck perfect for entertaining! Store extra items in the full basement. Minutes to Interstate 70. Quick drive to several parks and downtown Columbus.